I’m in Booleroo and it is my time for catching up: reflecting, relaxing, refocusing and play. It is pretty hot but I am thinking of you in Adelaide Pip and Sheila, with those horrible bush fires and hoping the conditions stay OK for the next couple of days until hopefully a cold change on Thursday. Well my intention to blog last year failed miserably. I just haven’t felt that I have had much to say for the last couple of years. The difference now is that although I still don’t feel I have much to say I think i will try anyway just to stay in touch with faithful neglected blogging friends. Thanks to you Pratima for getting me started again by encouraging me to do some Instagram posting. In the last 2 years I have dabbled a tiny bit with social media things and I am now a little all over the place! Freud would have had something to say had he examined my fragmented i-net identity. a very slightly active Facebook page. I started this page mainly because it was the way the wonderful riding school and club where I learn to ride, stays in touch with its members. Consequently other members of the club are the main people I have contact with on the page and I tend to post animal videos and pics! Please ‘friend’ me if you would like the odd animal snap! Pinterest. A couple of boards! PiecePlay Flickr, my old friend. I did have a big disaster with Flickr (long story but i tried to set up a group board for a large group of friends) this year and I think the platform is a bit more complicated and glitchy than it was..but I am going to try again because I loved it so much in the past. The main thing I have really been trying to do over the last two and a half years has been as I alluded to before, is to learn to horse ride and I’ll post a little about this later. I have found it is something that I really love and with the support of Phil we bought Chloe. 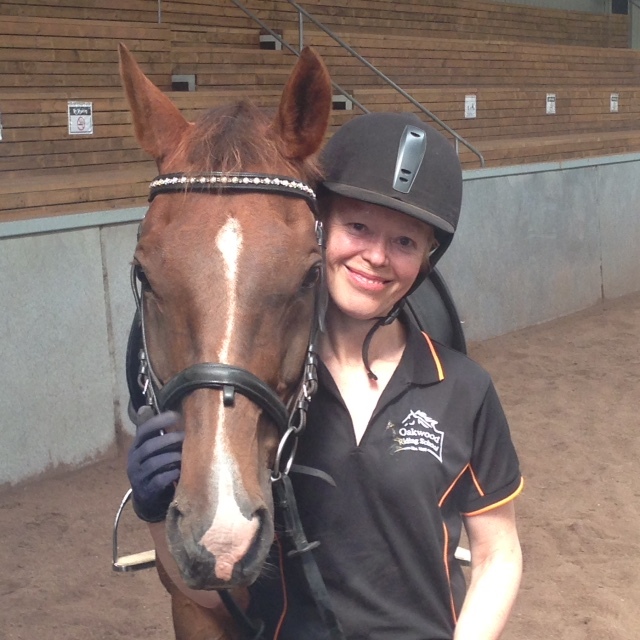 a gorgeous, maddening, mercurial, ageing at 18 years young, horsey drama queen and I absolutely adore her. 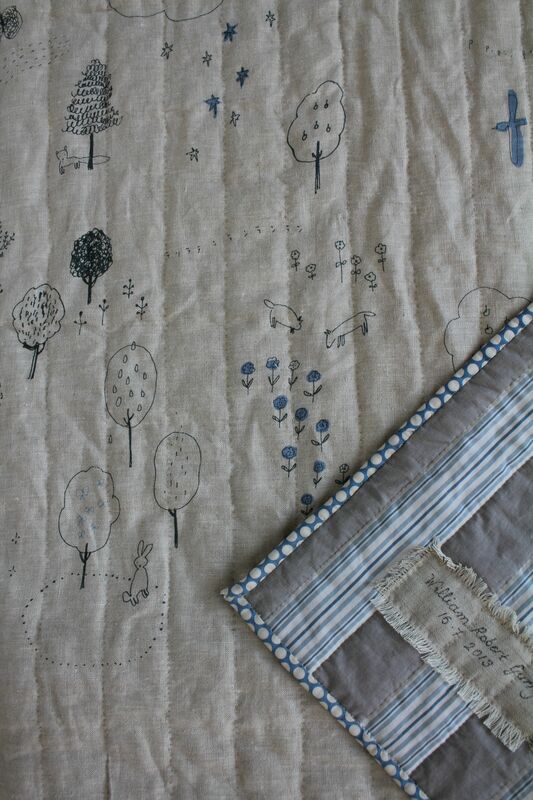 I made this little whole cloth quilt for a friend’s baby. I just followed the stripes on the back for quilting and used the gorgeous Megumi Sakikibara linen for the top. 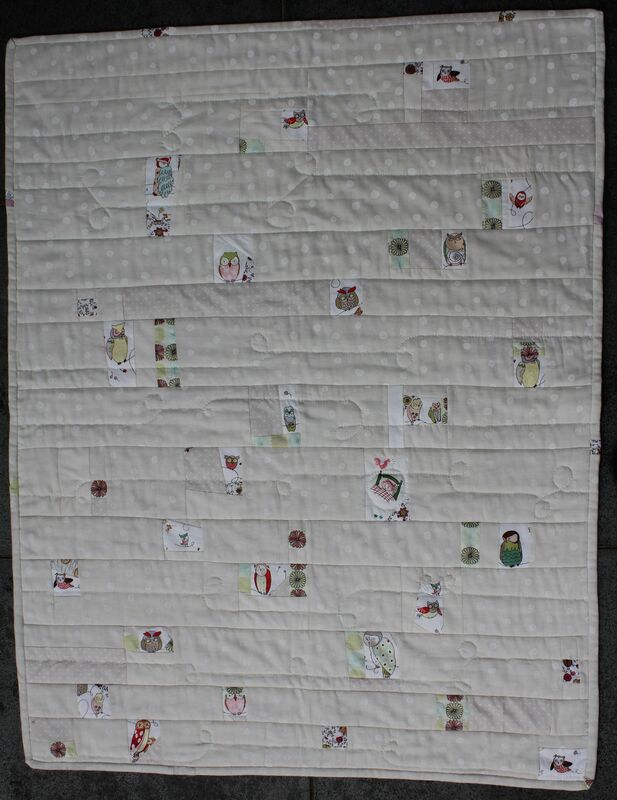 Another baby quilt for the grandchild of a friend. Now i loved this but it took me too long and the child was too old by the time I gave the gift. It was so late that the gift didn’t work! My only consolation is that my friend’s daughter has recently had another baby. Eek. Well I hope i have learned the lesson well and I will be more realistic with my plans or will adapt something I have been making for someone else (!) for example, so that I am able to deliver a timely celebration gift! 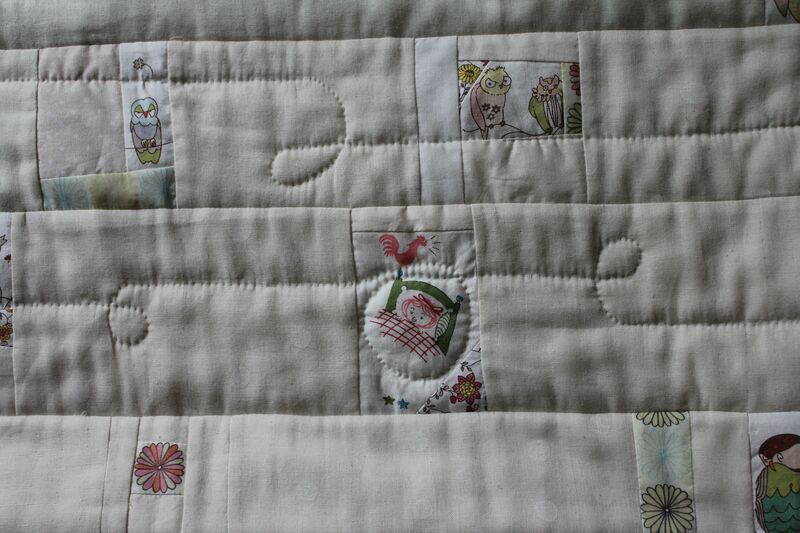 I am happy with the way the quilting turned out. 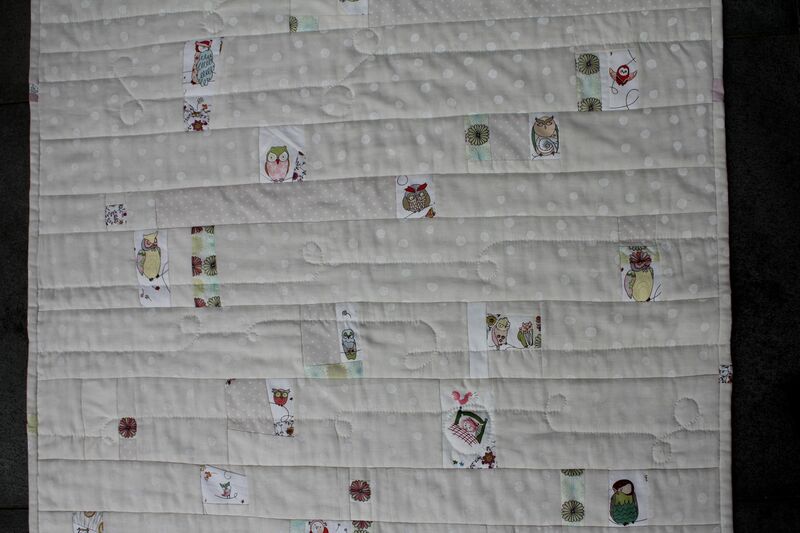 I made up strips of backing and piecing and ‘quilted as i went’ and then added some crazy flight paths by hand. I made a very quick improvised log cabinny quilt. It was really a delight to do. No problem, quick, and I really like it. above !) and it became more pastel. I machine quilted it and it was my best effort so far (don’t laugh too much Sheila). I haven’t finished this quilt but again the quilt top came together quite quickly and easily. The inspiration is the lovely lion print designed by Sarah Watts for Cotton and Steel. This is an attempt to show the fabrics and the colours. The yellow is really really bright. 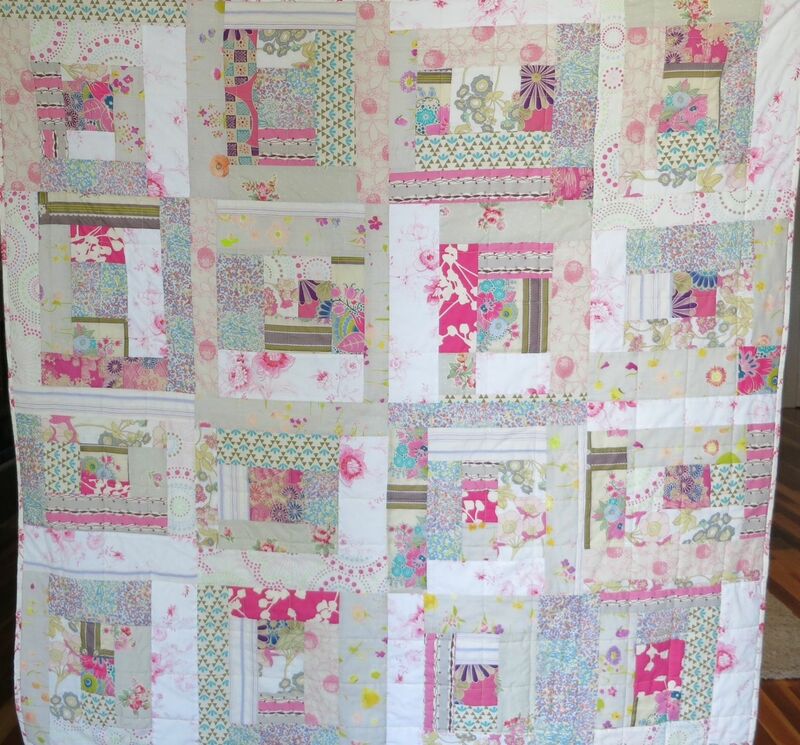 Now I am working on a quilt top that has not been easy ….I’ll post about it this week. In the Booleroo quiet i have made some progress. Phew. 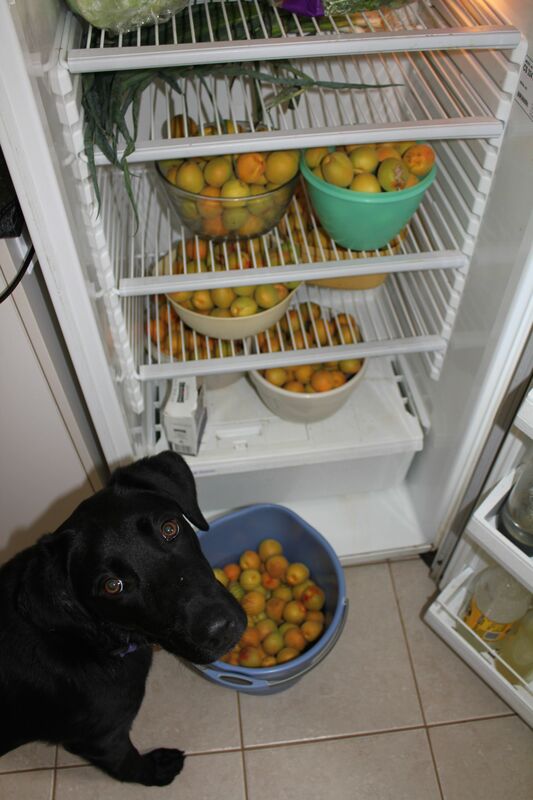 For the moment Bella is looking at me and wondering what we are going to do with the apricots. The crisper is full and another bucket on the porch. I’m not a bloggers bootlace. I have not posted for so long and I logged in today guiltily, furtively, to see if I have the nerve to give it another go! Over the last few days I’ve looked at months of posts on the wonderful the websites on my sidebar. I didn’t need to log in to my site to do that! They were, just as I’d always found them, interesting ,engaging and inspirational and I’d missed them. In the time I’ve been away I’d forgotten my password, without which I was unable to leave comments, the look of the platform had changed and I found in my dashboard a handful of drafts I have written over the last 2 years. Cringe. I’m not reading them. I’m deleting them and I am dipping my toes back into the blogging water. I haven’t done a lot of sewing over the last two years. Only a few small projects I will share in the next couple of posts and share a little of the other things that have occupied me during this time. Best wishes to any who may drop by this year. I always love the ‘fresh start’ feel of a new year and this year it was particularly welcome. 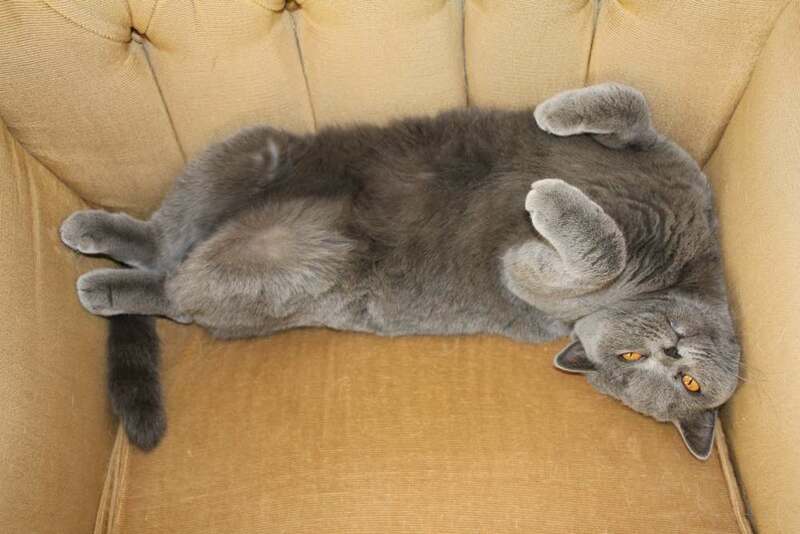 It is too early for me to reflect on 2011. I just plan to be a bit more active this year and enjoy it. Again Phil and I packed the old LRover with the Cleo, Bear and the bikes and headed to South Australia and Booleroo to have had the best start to the year. We brought all the essentials; bike, bathers, a couple of books (I’m not even one-third of the way through Wolf Hall but I love it), DVDs of The West Wing-we’ve been rationing ourselves and keeping them just for summer holidays; and I brought with me less fabric than usual and it has been OK! 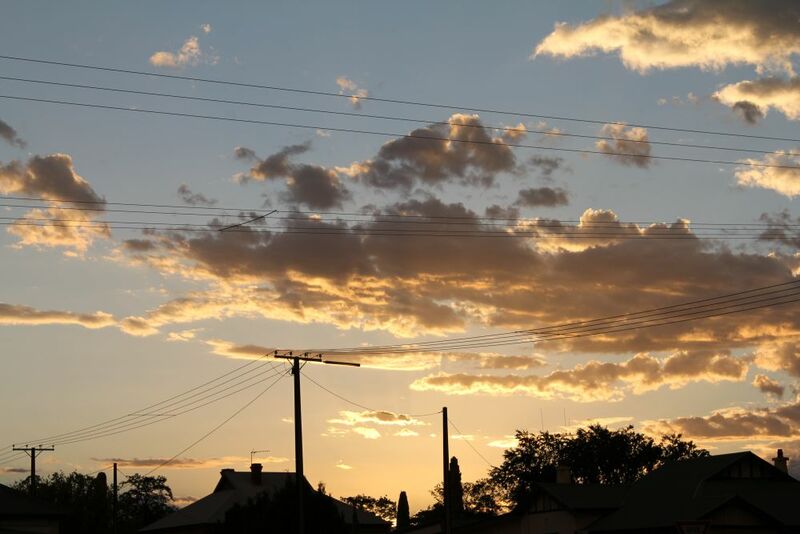 One small project I started in the last month is a group Flickr site “from booleroo”. The Booleroo Centre Community Development Association and Mt Remarkable Council are promoting the area for tourism and particularly to cyclists and I have set up the site to gradually accumulate some photos of the area in support of this initiative. The area really is wonderful for cycling. The roads are quiet and the bird life is fantastic (but I need a better photographer to catch those birds). Some photographers from a Port Augusta photography group have very kindly contributed some photos to the site and I hope to enlist some more local photographers in time. Last week it was 40-44 degrees celsius and my routineconsisted of a very early bike ride starting before dawn, meeting a small group for a swim at the local pool at 8.30 am then just a very gentle shuffle of baking, dog walks, letting Bear out for a run because he requires supervision, papers and coffee (complete fail on my half-hearted resolutions from last year), reading, sewplay and sleep. 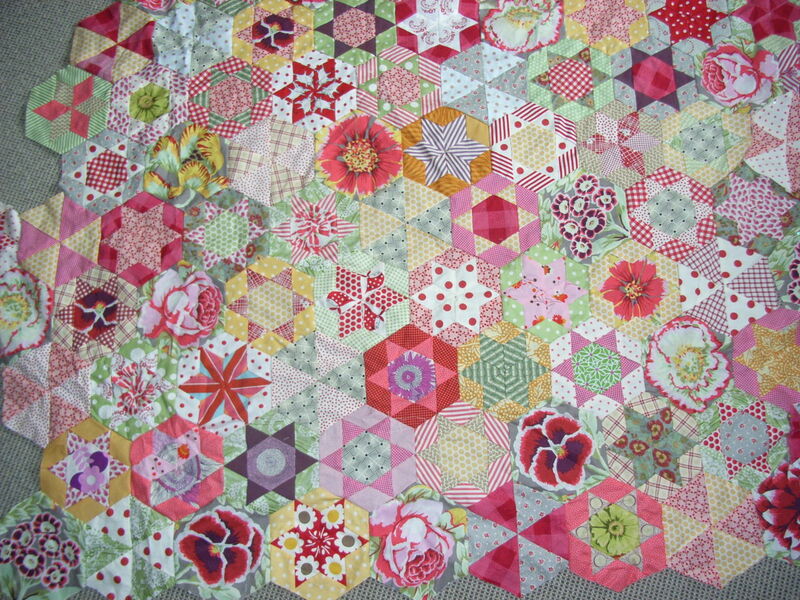 I’ve nearly finished the blocks for the Civil War quilt. 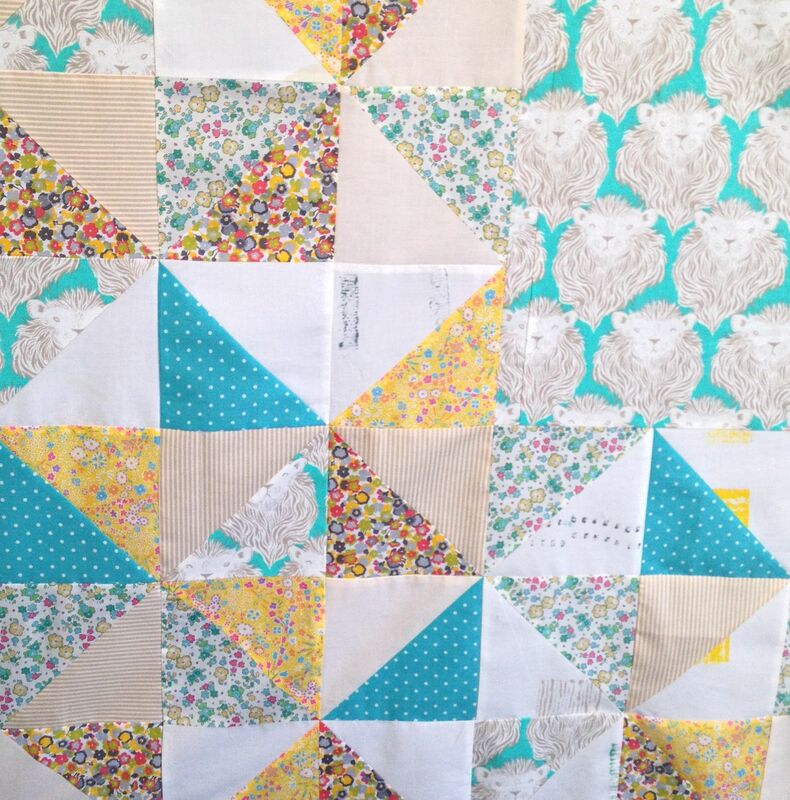 I will do a very simple sashing without posts but I will start looking for a border fabric and I might make a few more blocks to make the quilt a bit bigger. I can’t do any more until I’m home so I am starting something new and simple. When I looked at my last post, I realized it was really half-true and half-truths are not too much use for furthering one’s understanding of the Universe! Mum had a 4th major stroke in May and surgery did not help her the recover as we had hoped. For most of the last six months Mum did not seem distressed but she was an awful situation and we could not have prolonged her life further. 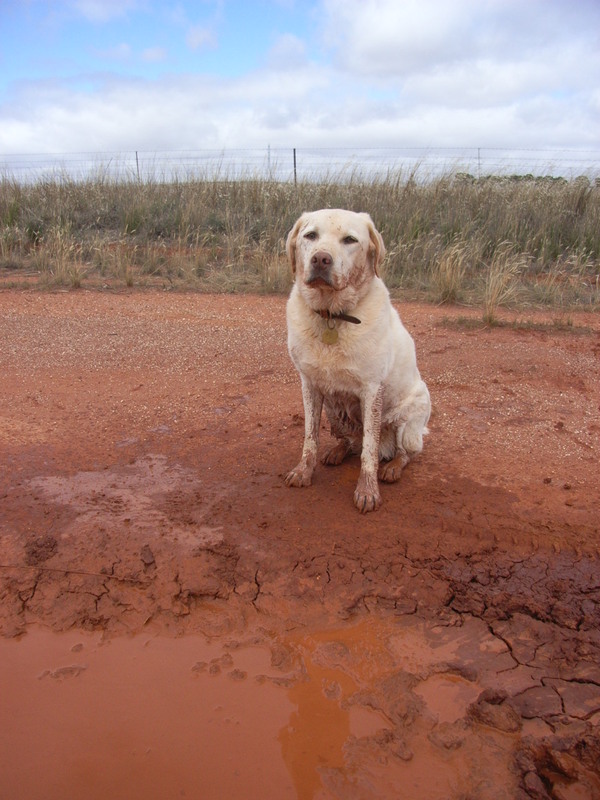 So it has been a time of just doing the best we could do and remembering her at her feisty best. 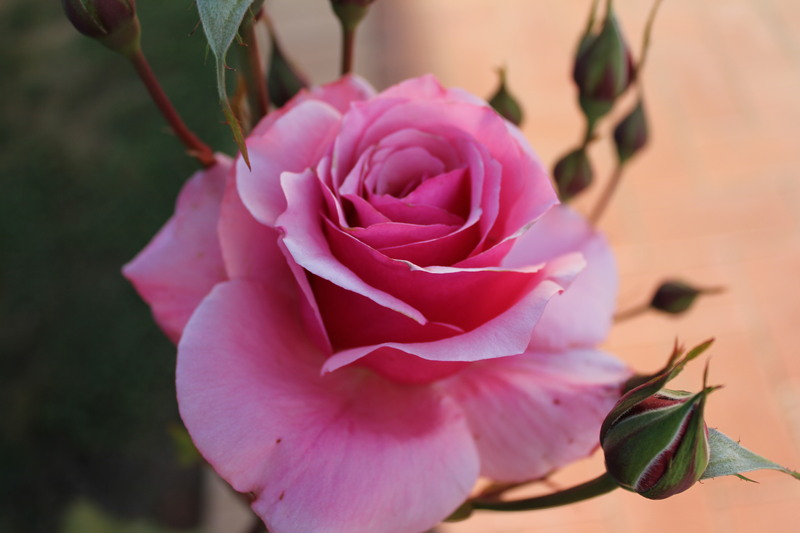 The funeral was wonderful; she would have loved the warmth and laughter and that it was ‘roses’ time in Booleroo. I sewed these together while I was with Mum and my sister Lyn at the hospital. We arranged the rows together and talked about favourite roses. There is a way to go yet but I can see what else I need now. The inspiration and pattern were from Kerry Dear in an edition of Quilter’s Companion Magazine. The only other things I have done are a few blocks for Amy. Mainly because I haven’t finished anything for months. Also the usual question of priorities not least about which quilts I really want to make or even finish . 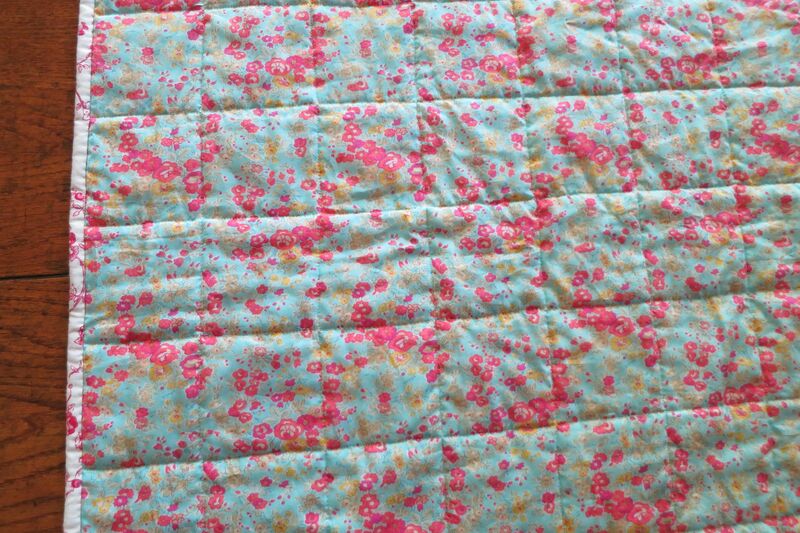 Yesterday though, I finished this little quilt to send to Japan. I nominated this as the back but effectively front and back are the same single piece. I was hoping that it could be alright for an elderly person or a baby. 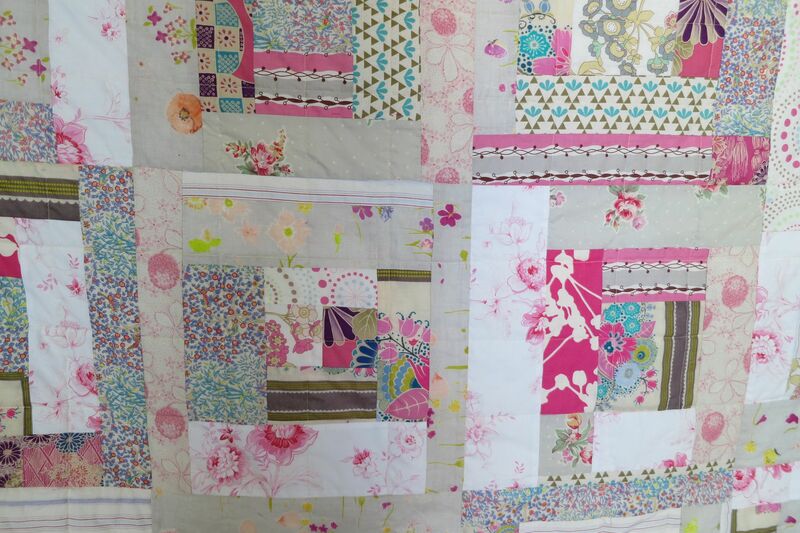 Effie is sending this lovely quilt. So cute. Thank you Margaret Smith for doing the lovely binding. 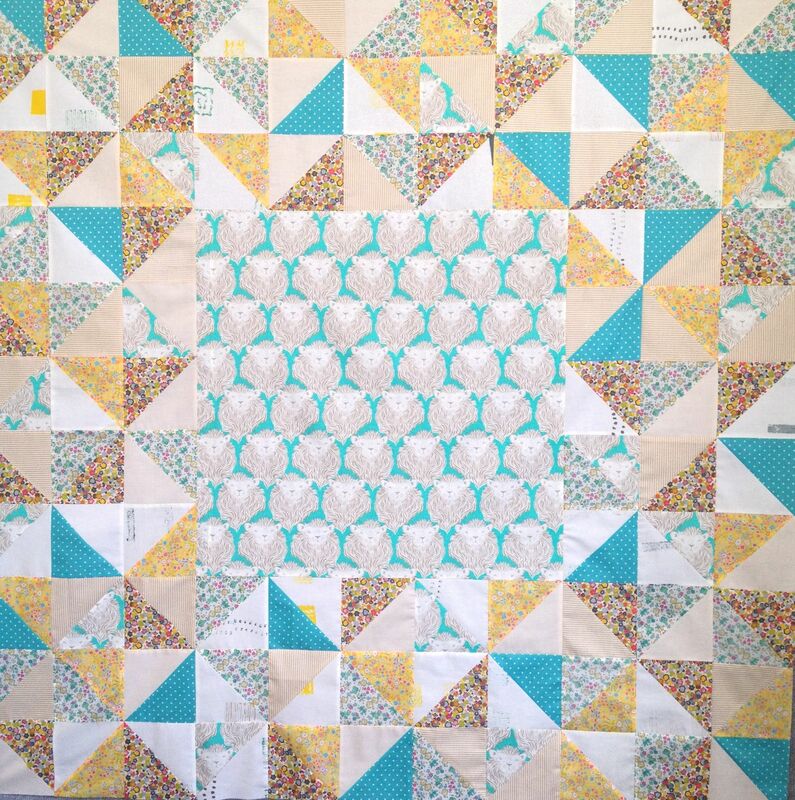 There are so, so many quilts to like. I am going to try to focus .. on quilts I really would want to live with. A few months a I was showing a customer a method of joining batting I had read about in a book..and it wasn’t working very well. Effie rescued us both by showing us this marvelously effective, simple, neat and quick method. There isn’t a lot of information on the web so this may be helpful for someone else. 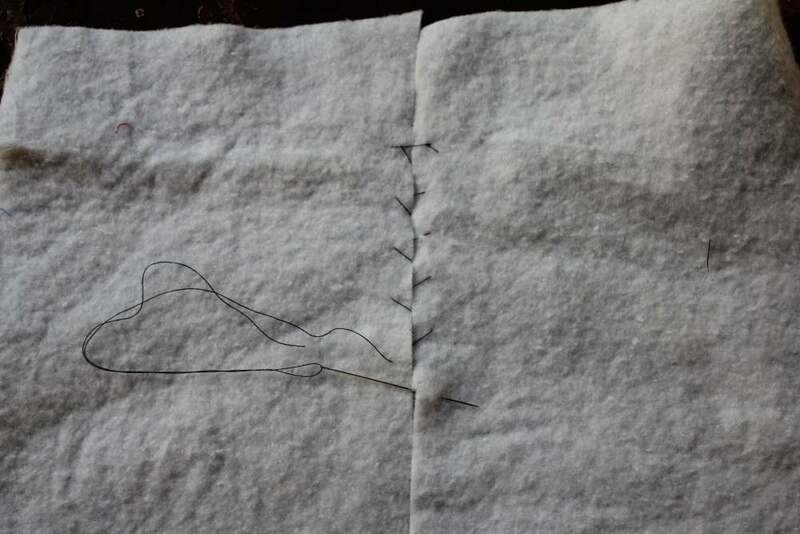 The quilting will hold the batting in place so I use quite big stitches. 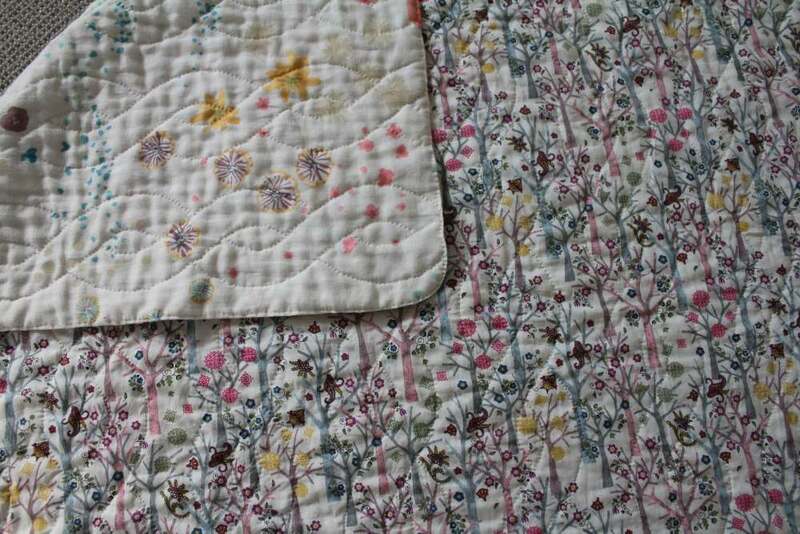 The method would work really well for patching a damaged quilt and batting. I used my coffee mug and just marked the ‘damaged’ piece and a patch the same size. I feels great to transform the pile of not quite big enough pieces of batting and I now have a few bed quilt sized pieces ready to go. Meanwhile Bear naps in the ‘ not quite big enough’ now day-bed. 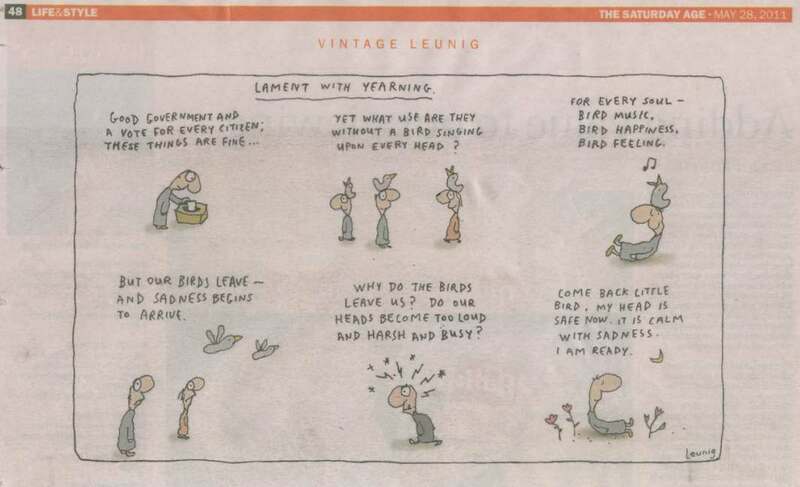 From ‘The Age’ last Saturday. It was the start of a week of musings. 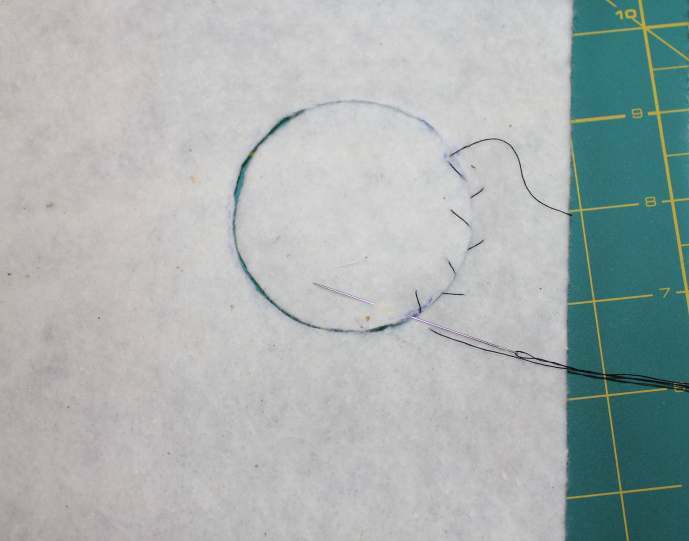 For most who drop by this blog, sewing and the feel of fabric really helps keep little birds twittering around near our heads. For me knitting….. doesn’t….at all! It was with much relief that I was able to give Rob his beanie a few weeks ago. 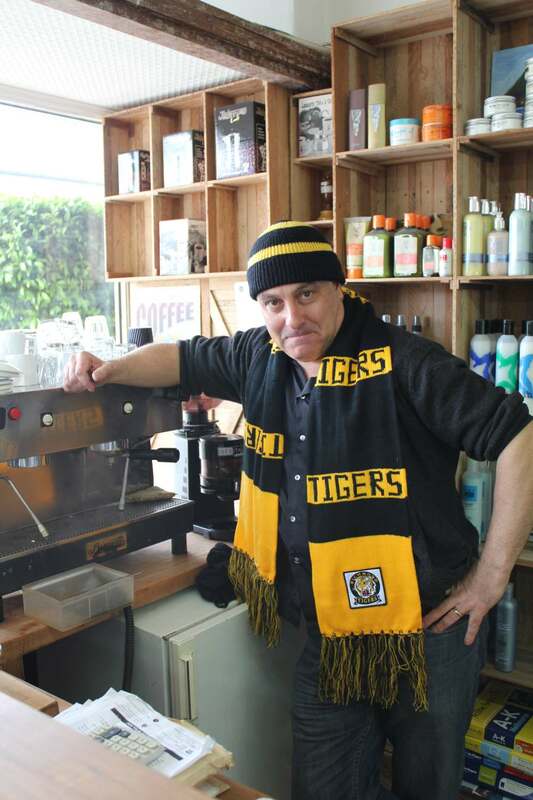 I believe it is the end of my knitting career and Rob kindly offered to model my’ last gasp’ effort. I do think it looks good in pure merino baby wool 4 ply black and gold 5 ply Bluebell. Actually I think the model is making it look good. The beanie is a ribbed all over into the back of the stitch. Knitting a scarf was suggested but I demurred! 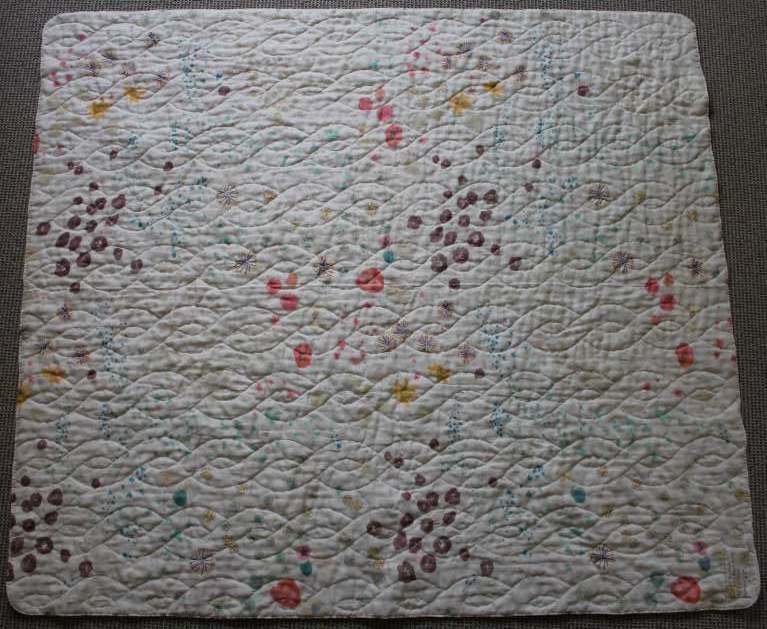 I am finally up to dated with the Barbara Brackman ‘Civil War block of the week project. One of the first books I borrowed from the library when I started quilting about 6 years ago was Barbara’s Book Quilts of the Civil War . I love this book. 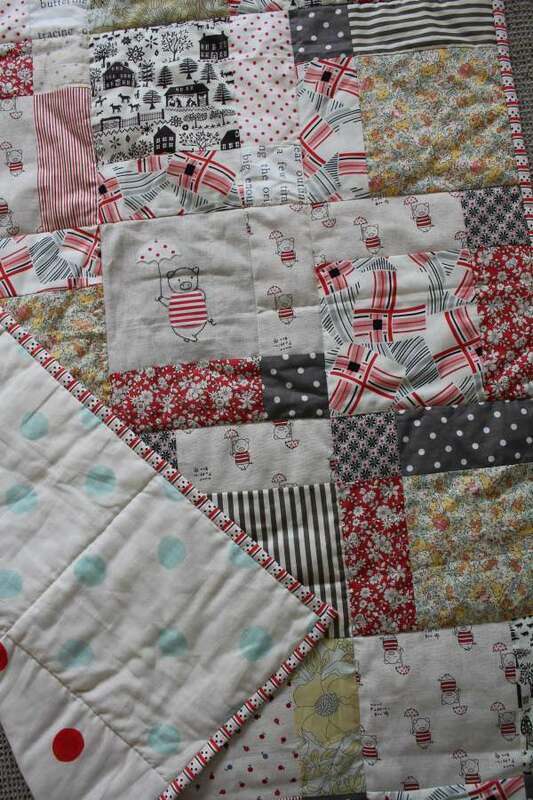 I loved the more utilitarian masculine quilts with stripes and plaids and shirtings and sombre cooler colours shown in the book and the unfussy simple blocks, and scrappy quilts. A lot of the little bits and pieces and scraps and fat 16ths I have collected since poring over the book I now realize I have chosen directly because its influence. Now those pieces just go straight into the blocks and I have scarcely purchased a thing. I have posted the latest blocks on Flickr. It was obviously a little more sombre week. I have a deadline to finish the Lions in Flowers II quilt this week and hand quilting (pictures next week) and so much else, but I’ve been drawn into the threads of many issues this week and spent happy hours not sewing but reading books and papers and blogs..and thinking. I asked a friend weeks ago if he thought that with the smaller size of the world, better communications and travel, a global economy and the unifying effects of a vibrant international patchwork and craft and blogging community (I actually didn’t include this last bit) people may come to work more closely together. He replied “No chance. Have you seen the way siblings fight”. Phil forwarded me this little video snippet which is spreading about what the speaker calls Empathic Civilization. It is a little more uplifting. Science has proven what we all instinctively know. What binds us all together is greater than our differences. But what to do?!! Also I had the opportunity to see Geraldine Brooks talking about her books this week. My limited understanding of The Civil War era comes from reading her book March, Charles Frazier’s ‘Cold Mountain’ and Barbara’s quilting books. Ms Brooks discussed very similar themes ( the commonality amongst people across ages and cultures) based on her historical research and years as a foreign correspondent. It was so comforting and inspirational to find her so positive and balanced. Filed in Thinking all the time!